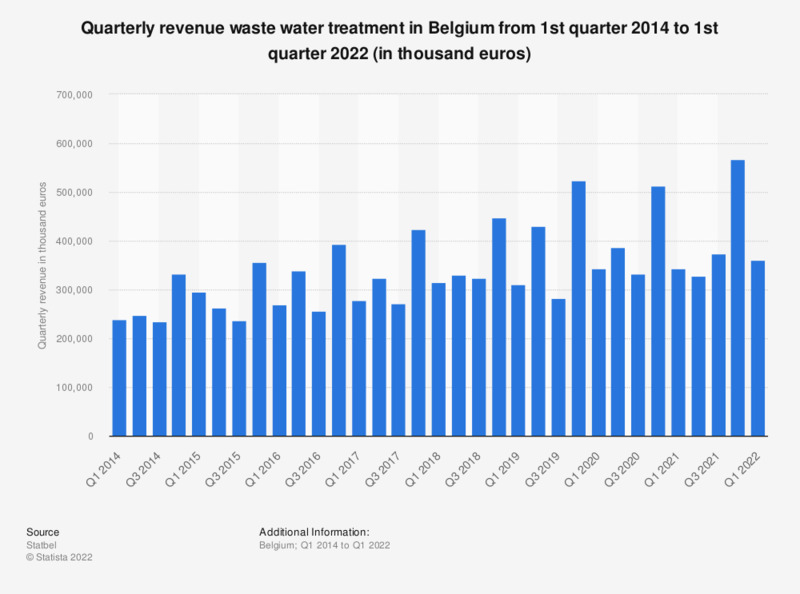 This statistic shows the quarterly revenue for waste water treatment in Belgium from the first quarter in 2014 to the fourth quarter in 2018. In the first half of 2015, the revenue decreased from about 296 million euros in the first quarter to roughly 263 million euros in the second quarter. In the fourth quarter of 2018, the revenue was approximately 448 million euros. * The figures for revenue are calculated by using the VAT declarations. Statistics on "Economic Outlook Belgium"